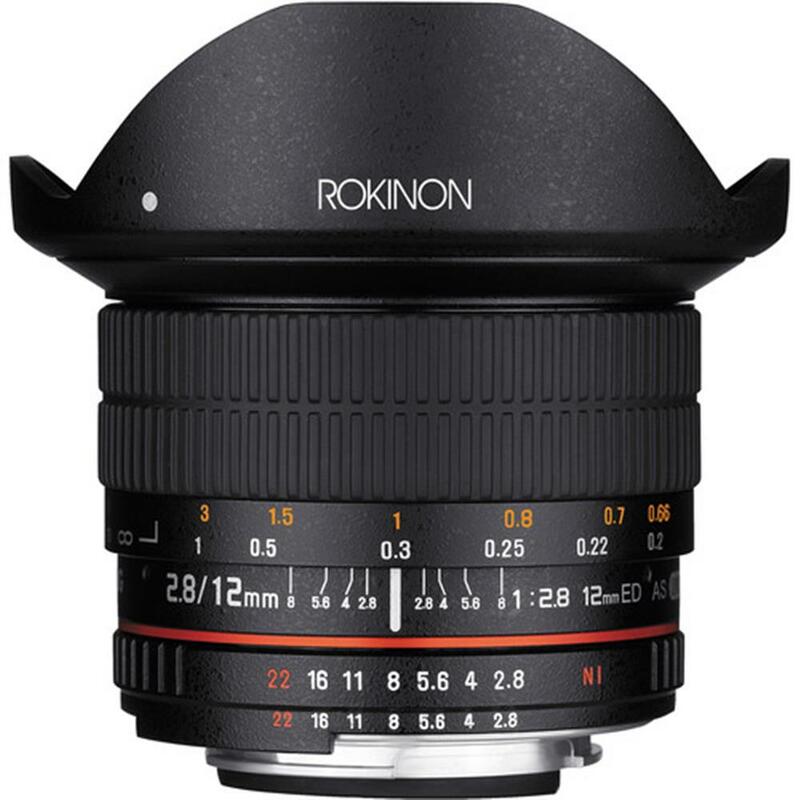 The 12mm f/2.8 ED AS IF NCS UMC Fish-eye Lens from Rokinon provides a 180 degree diagonal angle of view on full-frame cameras for an ultra-wide angle, distorted perspective that is useful for architectural interiors, landscapes and creative experimentation in any photographic application. The f/2.8 maximum aperture is effective in low light situations and enables some measure of shallow depth of field control. The lens' sophisticated optical design consists of 12 lens elements arranged in 8 groups including three elements made of low dispersion ED glass and two aspherical lens elements to minimize coma and chromatic aberrations. Highly effective nanocrystal anti-reflection (NCS) coating applied together with UMC coatings improve light transmission and reduce ghosting. 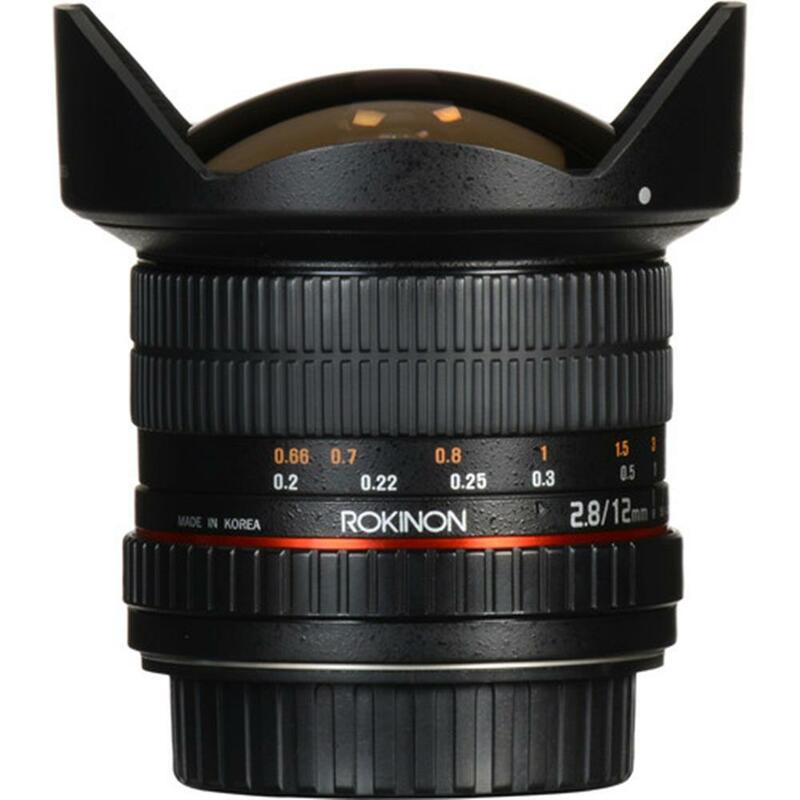 Its internal focus system enables its compact design and keeps the front element from extending during focus. 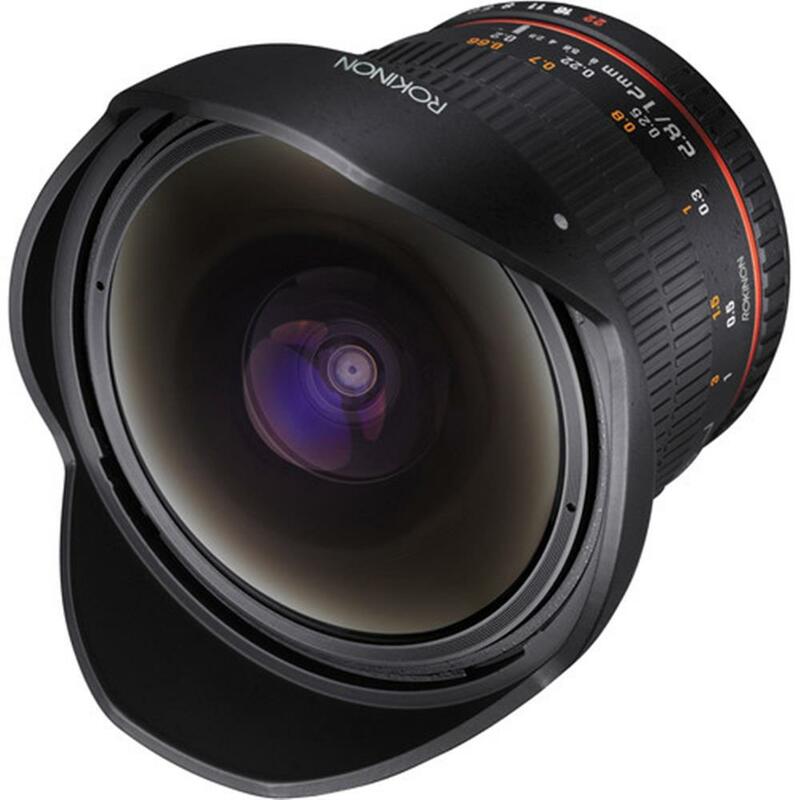 As a manual focus, manual aperture lens, it offers a wide, easy to grip focus ring and bright aperture, distance and depth of field markings. A removable petal-shaped lens hood is included. 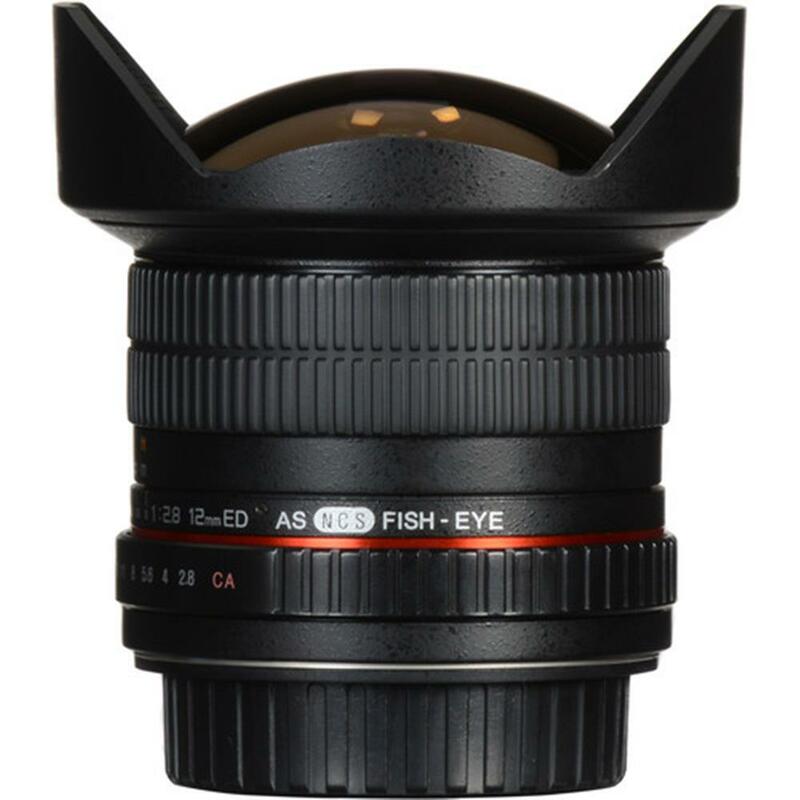 An ultra wide-angle fish-eye lens with a 12mm focal length on full-frame cameras and a 19.2mm equivalency when used on APS-C format cameras. Its distorted perspective is useful for interiors, landscapes, group shots and many creative wide-angle applications. Extra low dispersion and aspherical lens elements reduce aberrations for sharp, color-accurate imaging. Nano crystal coating and ultra multi-coating on the lens elements improves light transmission and reduces ghosting and flare. 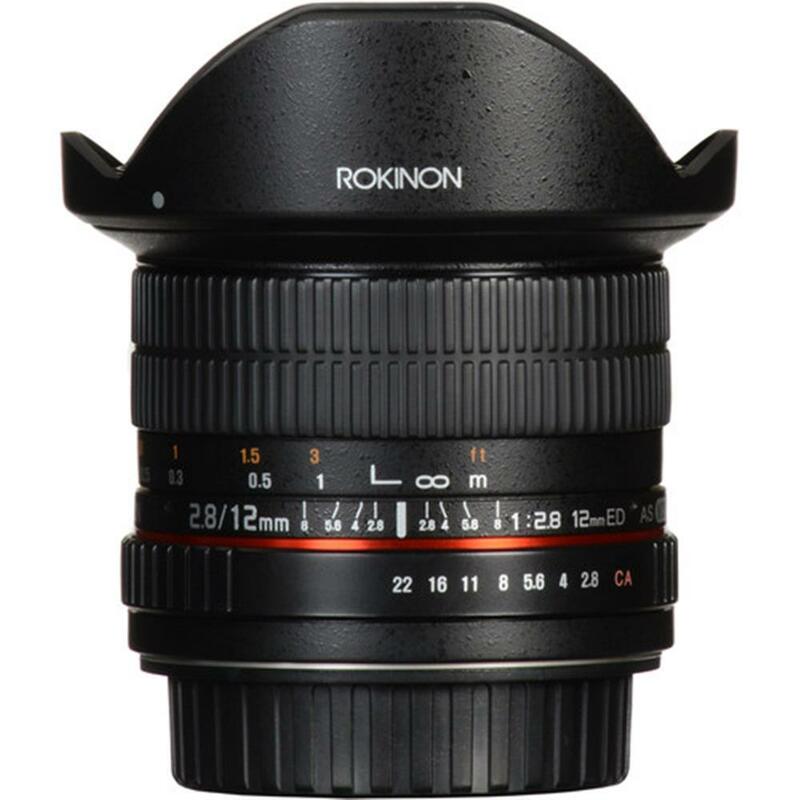 Manual focus lens with an internal focus system and wide, rubberized focus ring. Manual aperture control with bright markings for aperture, distance and depth of field. Sturdy metal barrel with removable petal-shaped lens hood.